The Strength of Sensitivity is an outstanding contribution to body-mind healing and has our highest recommendation. - Patricia Kaminski, Executive Director of Flower Essence Services . People suffer in countless ways from their sensitivity. The Strength of Sensitivity gave me a ray of hope. -Echo Bodine, author of Echoes of the Soul. Empathic ability is a profound reminder that we are all connected. However, it's not always easy to copy with. For highly sensitive people, empathic ability can feel like an invasion, leading to confusion, physical issues, and emotional distress. 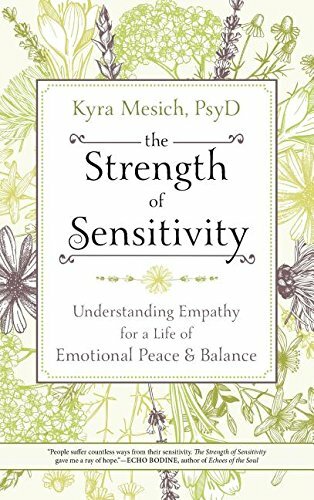 The Strength of Sensitivity explores the causes of empathic connections and provides techniques for developing and coping with sensitivity in a positive way. 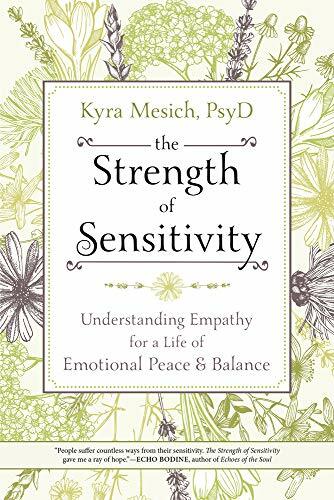 Join author Kyra Mesich, PsyD, as she shares stories about the struggles and triumphs of being an empath and amazing research that explains how empathic ability works. Discover tools such as flower essences, mindfulness meditation, and visualization practice that effectively help sensitive people create healthier relationships with their empathic abilities. Holistic psychology has shed new light on sensitivity; let this guide show you how to live intuitively while integrating your whole mind, body, and spirit.